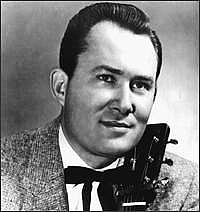 Donald Eugene Gibson (April 3, 1928 – November 17, 2003) was an American country musician. Gibson was born in Shelby, North Carolina into a poor working-class family, he dropped out of school in the second grade. Gibson's first band was called Sons of the Soil, with whom he made his first recording in 1948. Among his greatest hits were "Oh Lonesome Me" (later recorded by both Ray Charles and Neil Young) and "Blue Blue Day" (both No. 1 hits in 1958); "Don't Tell Me Your Troubles" (1959); "Sea of Heartbreak" (1961); "Lonesome No. 1" and "I Can Mend Your Broken Heart" (1962); and "Woman (Sensuous Woman)" (a No. 1 hit in 1972). Gibson recorded a series of successful duets with Dottie West in the late 1960s, the most successful of which were the No. 2 country hit "Rings of Gold" (1969) and the top 10 hit "There's a Story Goin' Round" (1970). In 1957, Gibson travelled back to Nashville to record "Oh Lonesome Me" for RCA. He and producer Chet Atkins decided to abandon the traditional steel guitar and fiddle and use a new sound featuring only guitars, a piano, a drummer, upright bass, and background singers. It became one of the first examples of what would be called the Nashville Sound and won Gibson a #1 hit; it also set the pattern for a long series of other RCA hits, including “Blue Blue Day” (1958). A talented songwriter, Gibson was nicknamed "the sad poet" because he frequently wrote songs that told of loneliness and lost love. He wrote and sang "I Can't Stop Loving You", a song that would be recorded by more than 700 artists, most notably by Ray Charles with a pop version in 1962. He also wrote and recorded "Sweet Dreams" that would become a major 1963 crossover hit for Patsy Cline. A great fan, in 1967 Roy Orbison recorded an album of his songs simply titled: Roy Orbison Sings Don Gibson. 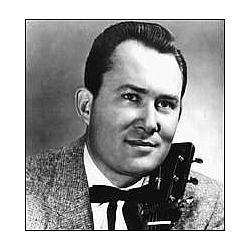 Don Gibson was inducted into the Nashville Songwriters Hall of Fame in 1973 and in 2001 into the Country Music Hall of Fame. On his passing in 2003, he was interred in the Sunset Cemetery, in his hometown of Shelby, North Carolina. Subscribe to Don Gibson RSS Feed to get latest lyrics and news updates. What do you think about Don Gibson? Let us know in the comments below!